Ha! Now Kulfi needs no introduction does it? Some things evoke the child in you and kulfi definitely does that for me. I had my first kulfi on an excursion outside Kerala and then on quite hooked. I love most Indian desserts like kalakand and burfi etc but this one has a special place. It conquers all, takes the icing on the cake really, because its frozen. Like most people I love ice cream and so does my children. This is an ideal way to taste an Indian dessert and fall in love. Hopefully, you agree. I am rambling. A fun of another sort I am having these days is listening to my son. Entertainer. His father was absolutely in splits listening to him say 'Buhmb' for Urumb (meaning: 'ants'). I adore this phase of my son. As rowdy as he is, when he makes up these words and says it with carefree, abandon, cool as if he is right! Confidence. Love it now but maybe not if he was a teenager. Worries for another time. Today, let's enjoy the small wonders the day brings and lick up some mouthwatering, lip smacking, rollicking goodness of kulfi. Oh.. what fun and such beautiful memories this dessert evokes. Don't you agree? If you have not heard of this dessert: it's similar to ice cream except not whipped to a fluffy consistency. Milk is cooked down and frozen to make a dense ice cream. Pisatchio's, I think are the most common flavoring agent but you can make many variations. Let that imagination run wild! I have done mine today with pistachios. Forgot to ask: Hope you are doing well and had a jolly weekend. Now, shall we go on and have some 'njummy, ammi kulfi' like my son would say...okay! 1.In a wide and (preferably) non sticky pan boil the milk till it reduces to one third of its quantity. 2.Do keep stirring in between and scrape down the sides. It took me about 20 minutes for get this done. 4.Once the milk is reduced to one third, add the ground pistachios and condensed milk and cook for 2-3 minutes.Keep stirring.Add the sugar too if you are adding any. 5.Switch off the heat and add the cardamom powder and mix well. 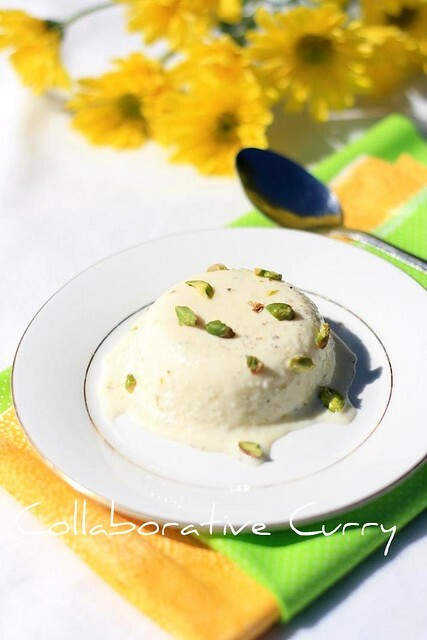 6.Let it cool for some time and pour into kulfi mold/pop mold and set in the freezer for at least 4 hours.If you are pouring into a big bowl ,then let it sit longer to set. 7.Serve after garnishing with pistachios slivers. 1.Be easy on adding sugar since you are adding condensed milk. 2.This recipe gives ~6 servings. yummmm...kothi ayittu vayya.evide nalla choodanu.pista ente fav flavourum aaanu.sherikum kothi pidipichu !!! oh..oru rakshayum illa nami..kidilan, vayikkode titanic odikkam..:)super super!! Pista kulfi is my fav..looks so delicious.Delightful summer treat!! Super Summer treat !!! Makes me drool..Good One ! Pista kulfi looks adipoli..I will definitely try it sometime..Beautiful pics!! A delicious summer treat! Stunning clicks! Beautiful and droolworthy kulfi..very tempting..
Wow Kulfi looks so yummy and presentation so beautiful. wow, wow! This is gorgeous!! Kulfi and one with pista at that is an absolute delight. I am inspired to open my fresh packet of pistachios and get started ASAP. Lovely pics, the melting kulfi looks super appealing!! Looks so creamy and lovely! I wish I could taste some! Oooh...love this ice cream. Would be wonderful for warm weather. Thanks very much for sharing. not a big fan of kulfi..but that pic sure looks tempting enough..
Wow! look at that! Its looking fabulous! Yum, that reminds me a bit of panna cotta! Great picture! Looks really yummy! Beautiful pictures too! Irresisitable kulfi dear ,can u pls pass on the platter ? Loved the look of your Kulfi. Still drooling by looking at it. perfect shot and looks so yummy.. i am droooooooooooling. 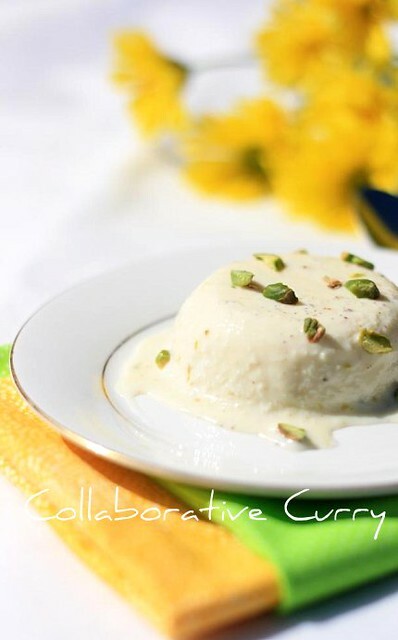 How I would love some of your cooling Kulfi right now!